Today’s digital economy is a data economy – where differentiation and success depend on the insights companies glean from their data and the actions they take in response. In this data economy, one of the busiest, most demanding jobs of all is that of Data Analyst. Is this you (or someone you care about)? If so, what you need is relief. The workload for data analysts can be crushing – and any way to offload some of this workload is a welcome development. As you no doubt know, one of the main sources for data requests is marketing. To help your company stay ahead, your marketing team is engaged in an on-going contest to deliver better experiences, more personalization, and improved overall outcomes for your company’s customers. Delivering great customer experiences requires access to data – whether the data comes from social media, web analytics, points of sale, loyalty apps, IoT devices or wherever. But when marketing needs to go through you and your team for the data they need, it creates a never ending stream of requests, driving up internal frustration and delaying great customer experiences. The marketing team has a business need and a data problem. They need to improve the customer experience, but their problem is lack of data access, and it just so happens that the solution to their problem is also the solution to yours. A customer data platform (CDP) brings together all the sources of data important to marketers – providing a single view of the customer across channels and interaction points. An enterprise-grade CDP provides direct access to a comprehensive set of data to marketing teams themselves. With the mounting pressure on IT and lack of specialized resources, companies have moved toward cloud services that offer the benefits of new technologies without heavy lifting by IT. This self-service approach is the new norm. While IT needs to sign off on the approach and incorporate it into the existing infrastructure, once an enterprise CDP is up and running, the marketing team is off to the races. With intuitive data connection tools, marketing can even bring in new data sources on its own. For marketing, this is big news. Now with up-to-date profiles they can execute on marketing campaigns with greater precision and deliver offers that matter most. They can automate marketing tasks at scale with readily accessible customer data that is complete, secure, and reliable. And they can deliver personalized customer experiences down to the “segment of one” with detailed insights into customer history, preferences, and behavior. But what does this all mean for you, Data Analyst? First off, it reduces your repetitive, mundane tasks dramatically. Workflow orchestration enables you to automate the flow of data for real time data delivery. While IT remains in control in terms of data security, corporate policies and governance, the self-service factor means that data pipeline chores are minimized. This effectively allows marketing to rework segmentations to their heart’s content. You now are left with more time to add value in a higher-level capacity. More importantly, perhaps, it also turns you into the IT hero of sorts. By empowering marketing to do their jobs better and faster, you earn a place at the table as a valued business partner working to help solve problems and advance the capabilities and performance of the organization as a whole. Marketing still needs you for sophisticated analysis using machine learning and artificial intelligence. What’s more, you can use the same self-service capabilities for these analytics capabilities. Then extend the same customer data capabilities to sales, customer service, product development, and countless other departments and business units. Here at Treasure Data, we’ve seen it happen time and again. To learn more about how we can help you with an enterprise-grade CDP, ask for a demo. 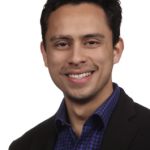 Rafael Flores leads all product data integration efforts at Treasure Data. Formerly, he helped scale and lead both product and customer success at Datanyze, a Gartner 2016 Cool Vendor. When he is not planning the next engineering sprint, he enjoys spending time going on outdoor runs with his dog, Messi. Contact at rafael@treasure-data.com.